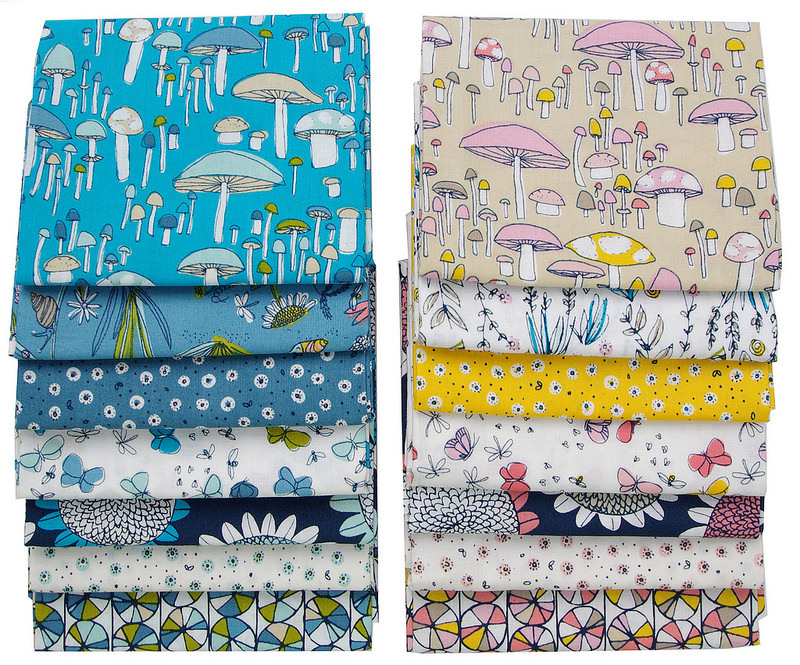 Arcadia by Sarah Watson for Cloud9 Fabrics is due to arrive in stores next month - June 2014 - [this bundle was sent to me without obligation - courtesy of Cloud9 Fabrics]. 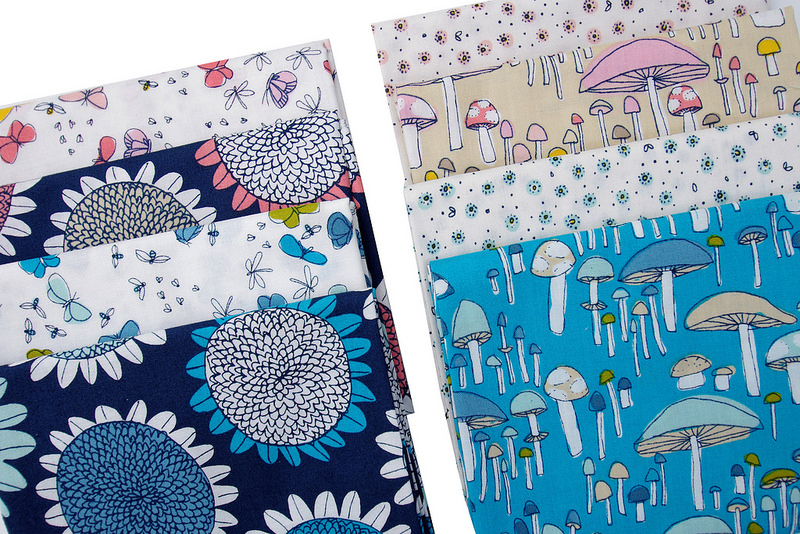 The big sunflowers and the stormy blue color palette have me completely drawn in, never mind that like all Cloud9 fabric collections all are printed on 100% certified organic cotton base cloths and only eco-responsible low impact dyes for printing and dying are used. These are lovely! 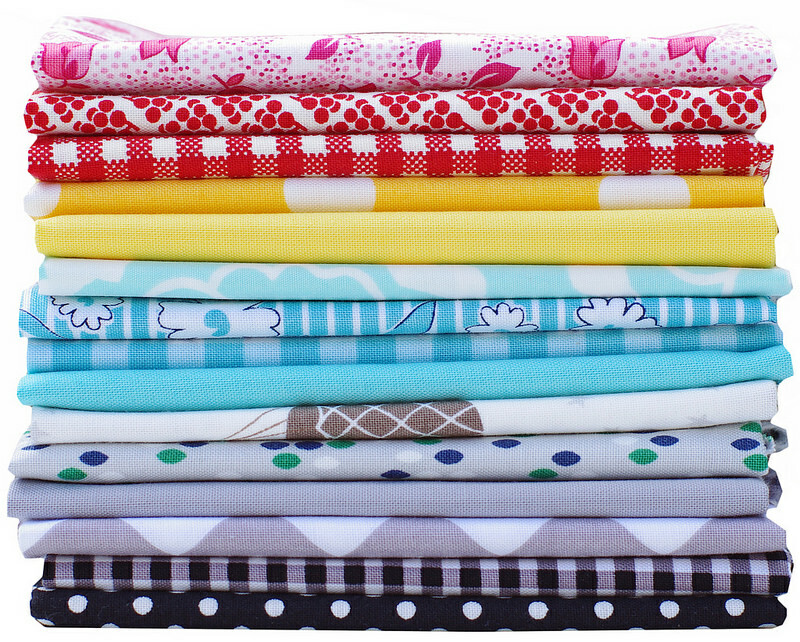 I was also asked to pick a Blogger's Choice bundle for The Fat Quarter Shop! Choosing and collating fabrics in advance as well as from a screen is tricky so I've played it safe with stash basics: dots, stripes and small scale floral prints that will happily mix with stash fabrics. 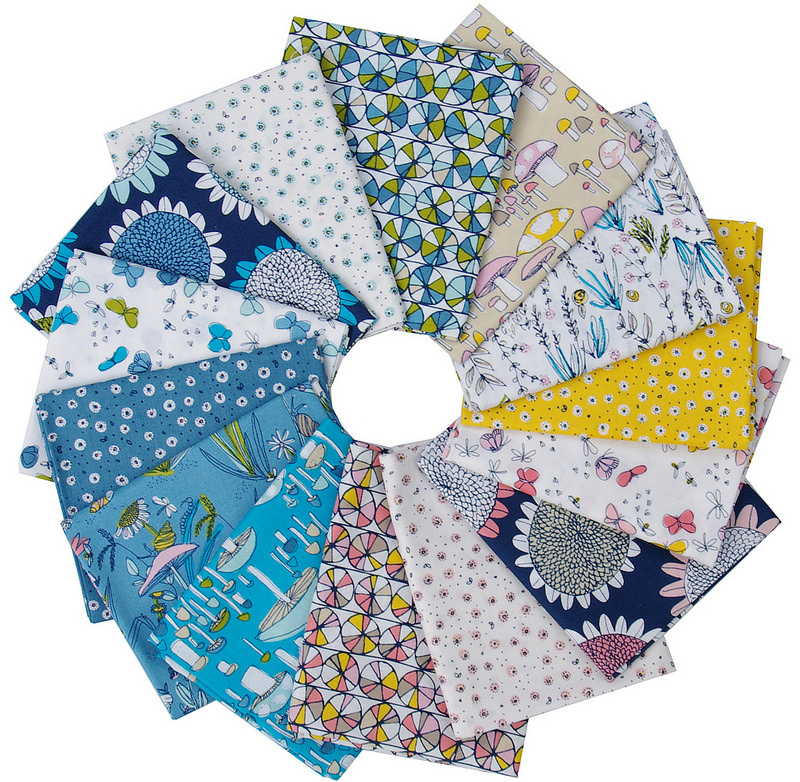 Kimberly from the Fat Quarter Shop is kindly allowing me to give away a FQ bundle as pictured to one lucky RPQ reader. 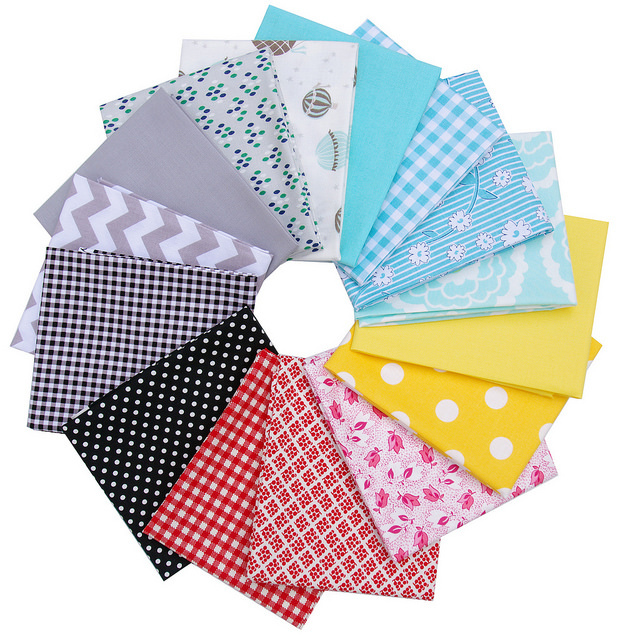 To be in the draw to win a Red Pepper Quilts Blogger's Choice Fat Quarter Bundle leave a comment on this blog post. Only one comment per person/per email address - email me if you are not able to leave a comment (redpepperquilts at gmail dot com) and I will leave a comment on your behalf. International entries welcome! The draw will take place at 9.30am (Australia EST) on Tuesday 27 May 2014, at which time comments to this post will be closed. The winner will be announced by edit to this blog post, and will also be contacted by email. Good luck everyone and thank you to the team at the Fat Quarter Shop. Congratulations Pat and happy sewing! Pat has been contacted by email.